Big CapX 2020 day today, what with oral arguments at the Appellate Court on Segment 1 and Segment 3 of the Minnesota routing docket, and LOTS of Answers and Comments due today on the FERC Complaint filed by CETF and SOUL regarding the CapX 2020 Hampton-La Crosse transmission project. And here are the Answers and Comments, the despondent Respondents first and then everyone else! Good reading on a cold spring night! Fire up that printer and start running the tub! Today in Senate Environment and Energy there are five bills up for consideration today, meeting resumes at 5:30 p.m.
Clarifications of Buy the Farm are up today. SF 183 and HF 338 need to get through Committee and on to the full Senate and House to protect landowners under siege through condemnations by Xcel Energy for CapX 2020 and other transmission lines. IMPORTANT AMENDMENT: High Voltage Transmission Lines, HVTLs, are defined in MN as 110kV and above and Buy the Farm should apply to all high voltage transmission lines, 100kV and above. 1.16 alternative to the transmission line. SF 455 (and HF 655): This would prohibit designation of a “Preferred Route” and “Alternate Route” in an application and in the routing process. I don’t see the point. My understanding is that this is a response to complaints of those lulled into complacency by the “Alternate Route” designation in CapX 2020 proceedings. I know well how hard it is to get people to get involved, having been to hundreds of meetings across the state urging people to stand up, show up, raise some hell, intervene and at the least file comments. It’s particularly hard at the Certificate of Need level, before Routing even begins, because typically all people care about is “is it going across my land” and it’s hard to get people to spent the incredible amount of time and effort to be part of a transmission proceeding. Even harder to get through on the importance of addressing the “need” or “routing” criteria with a big picture view and not “Not This Route” approach. When it comes to routing, someone is going to get it, and to have an impact, you’ve got to dig into it, do the house counts, look for the dwarf trout lilies and turtles, map out the forests, do the surveillance. It’s difficult — regular people end up doing the work that the state and their conslutants, and the applicants and their conslutants do, the burden of proof essentially shifts to regular people, the intervenors. You can’t make anyone participate — I personally can testify that I tried and tried and tried to bring people into the process, to encourage participation, put on so many miles going to hearings from Fargo to the Metro, from Brookings to Hampton, and from Hampton to La Crosse, in the Certificate of Need, Routing, and RUS EIS proceedings, covering 700 miles of transmission lines several times over. I posted and provided hard copies of Comment forms, attended meetings and hearings to explain the process and encourage participation, and even attended a couple of meetings WITH compensation to explain the process and encourage participation. Those who did not participate knew well that this was going on, knew for years that this was an ongoing transmission need and routing process, and chose to sit it out thinking they were not affected (the implication being that it didn’t affect them, that it affected someone else, and which meant it was OK not to show up). In energy policy, people need to look beyond themselves and their property boundaries to address the big picture policy issues of how we get our electricity, how much we want and need to use, and what price we are willing to pay. Addressing these larger issues are a part of our responsibility as citizens of the planet. So again, in short, I don’t see the point of this bill. SF 674 (and HF 439): This has two components, first including impact of property values as a specific consideration in routing (rather than an implied consideration in “socioeconomic” issues). NEEDED: specific direction that the impact of condemnation amounts should be considered in environmental review — currently it is not. The second part of this is application of “Buy the Farm” to adjacent landowners. With the struggle directly affected landowners are up against, with Xcel challenging their election of Buy the Farm at every turn (this is at the MN Supreme Court, oral arguments are in April), this is over reach and isn’t realistic. Buy the Farm – Contact Legislators! Xcel Energy has been spreading more than their share in their “acquisition” of land for their CapX 2020 transmission project. They’ve been lowballing landowners, and worse, when landowners elect “Buy the Farm” under Minn. Stat. 216B.12, Subd. 4, Xcel Energy is claiming that they’re not entitled to “minimum compensation” and ” relocation” under Chapter 117 eminent domain laws, and in some cases they’re even saying that their “Buy the Farm” elections are not valid. Contact the House Energy Committee members and ask them to pass the bill out of committee — landowners need these changes to Buy the Farm NOW! As members of the Energy Committee it’s their job to represent all of us in Minnesota, it’s their job to protect our Constitutional Rights to just compensation! District Courts have been siding with landowners, and Xcel Energy has gone to the Appellate Court, which sided with Xcel, and so now it’s at the Supreme Court. Supreme Court Oral Arguments are scheduled for April 3, 2013. Julie and Dale Schwartz have a 100-cow dairy farm in Sibley County that has been in Dale’s family for three generations. It might not make it to the fourth, they say. A group of 11 regional power utilities is laying one of the state’s newest high-voltage lines from Brookings, S.D., to Hampton, Minn., in a project called CapX2020. It runs down the driveway to the Schwartzes’ house and near their cows. The Schwartzes fear stray voltage and the electromagnetic field from the power line will harm their cows and themselves, so they want the utilities to buy out a 160-acre section of their 575-acre farm so they can relocate themselves and their cows. Selling just the 150-foot right-of-way won’t satisfy them. So the couple invoked a little-used 1970s law dubbed “Buy the Farm” that allows farmers to force utilities to buy an entire farm if necessary to clear the way for high-voltage transmission projects. The law grew out of ferocious power line battles in the early 1970s between utilities and farmers that required state troopers to intervene. Now the power line battles are back. The Schwartzes were one of three farm operators who testified Tuesday that “Buy the Farm” needs to be strengthened. Specifically, the farmers are backing a bill authored by Rep. David Bly, DFL-Northfield, that calls for the utilities to pay relocation costs and compensation to make the farmers whole again. Minnesota law already provides for relocation and make-whole compensation for eminent domain takings in other cases, and it’s implied in the existing Buy the Farm law, Schnitker said. Bly’s bill also calls for the utilities to file any challenge to a “Buy the Farm” claim within 60 days to prevent stalling, Schnitker said. The utilities believe the changes are unnecessary and could add to the costs of the projects, said Great River Energy’s Dan Lesher, the route and land rights leader for CapX2020’s Brookings project. The CapX2020 consortium expects to spend more than $2 billion on its five high-voltage projects across the state. The Brookings line will be put into operation in July 2015. The utilities want the Legislature to wait until the Minnesota Supreme Court rules on a case that could decide whether the utilities should pay the relocation and compensation. A decision is expected in summer. The utilities dispute that payments for relocation and compensation are part of the existing law and want the Supreme Court to clarify that. “There is a framework, but there is not a lot of definition — there is not a lot of meat behind that framework,” Lesher said. The House committee took no action on the matter Tuesday. ‘Buy the Farm’ changes fair to farmers, or too expensive? 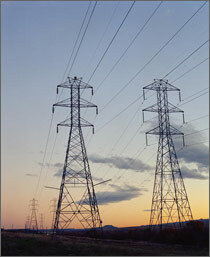 Yesterday, Citizens Energy Task Force and Save Our Unique Lands filed a Complaint at the Federal Energy Regulatory Commission that the Midwest Reliability Organization (MRO), Midwest Independent Transmission System Operator (MISO) and the CapX 2020 Applicant utilities had violated NERC reliability standards by approving the CapX 2020 Hampton-La Crosse transmission line in MTEP 08 when the knew or should have known that it would cause system instability and would not provide the transfer capability they wanted, that it wouldn’t do the job as claimed, that running a radial line to La Crosse would just bring transmission system instability to La Crosse. Here’s the FERC Docket EL13-49-000 — CLICK HERE FOR NOTICE! Opponents of CapX2020, a series of more than 700 miles of high-voltage transmission lines from the Dakotas to Wisconsin, said Thursday they are filing a complaint with the Federal Energy Regulatory Commission to try to halt the Wisconsin link of the project. Citizens Energy Task Force and Save Our Unique Lands said their complaint contends that the utilities developing CapX2020 knew that the 345-kilovolt lines’ final segment, from the Rochester, Minn., area to the La Crosse area, could create instability in the electrical grid in Wisconsin unless it hooked into a line of similar capacity. Plans have been under development for several years for the Badger Coulee project, a proposed 345-kilovolt transmission line from the La Crosse area to Madison, separate from CapX2020. But the utility companies working on that project have not yet filed an application with state regulators. “You don’t go forward and have one line approved if it is attendant on a line that hasn’t been approved,” said Debra Severson, Sparta, a member of both citizen groups filing the complaint. The 48-mile, $211 million, high-voltage line from Minnesota to Wisconsin was approved by the Wisconsin Public Service Commission last May. Opponents filed a lawsuit seeking a court review of the decision, but Dane County Circuit Judge Amy Smith turned down the request last October saying the lawyer who filed the case is not licensed to practice in Wisconsin.